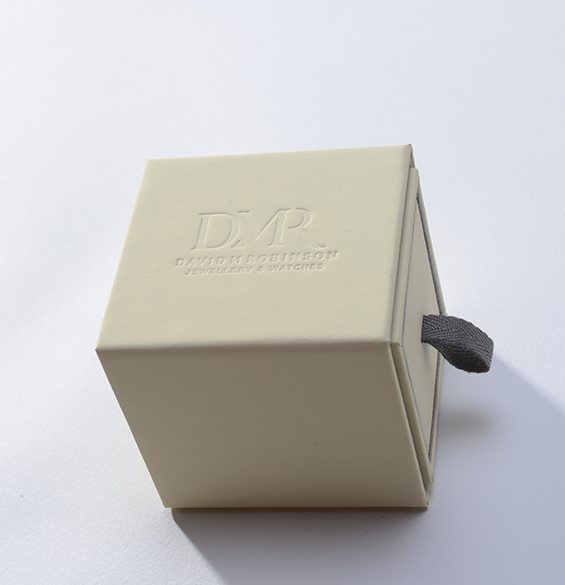 We were approached by David M Robinson with a brief to completely transform its packaging design with a more current and premium aesthetic to complement their luxury range of jewellery. 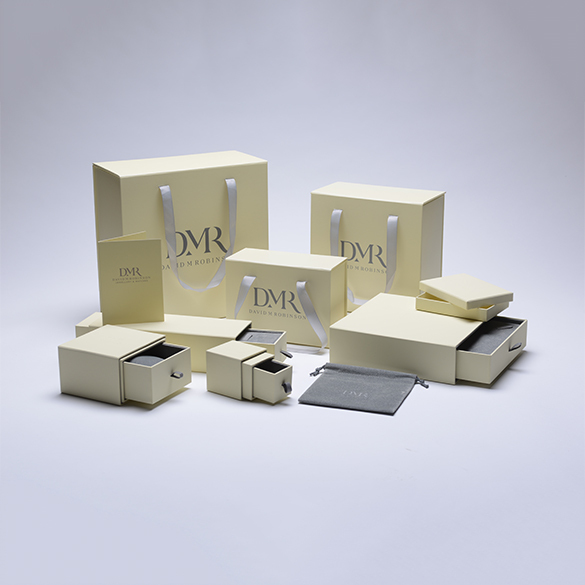 We scrutinised product and price points and considered the strategic direction of DMR before proceeding into design. We developed two main box and bag concepts that were extremely well received and we were instructed to move them on. We developed a premium box drawer range with a luxury soft touch outer sleeve featuring an embossed logo. 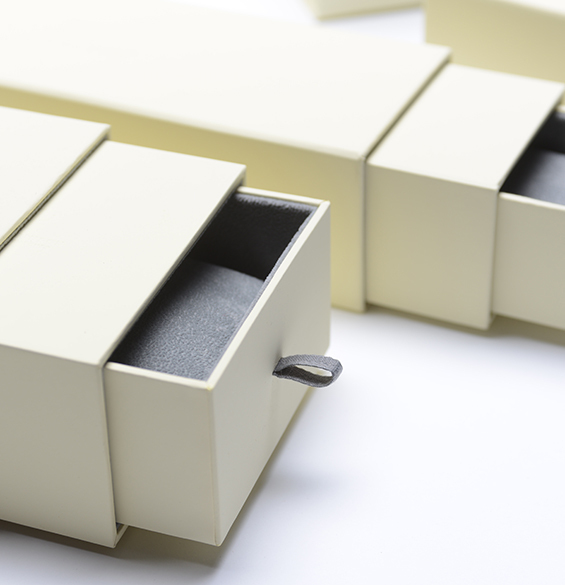 The drawer boxes were produced in universal sizes so less overall boxes were needed. We toned down DMR’s vibrant yellow brand colour and teamed this with a soft grey for the interior and branding. A modern, stylish and simple end product that takes the David M Robinson brand on to a new level of luxury. All within eight months.